A while back, I had the privilege of meeting a float guru who travels all over the world guiding people through their float therapies. This man had gorgeous long curly hair and a soft gentle voice. He led me on a journey that I am still reminded of on a daily basis. These thoughts usually revolve around the color blue. For those of you that are unfamiliar with floating, you get into a tank of water that is mix with a lot of salt. There is so much salt that even if you fall asleep you won’t drown. At the Liquid Sanctuary, you are left with nothing for your senses to cling to except your own mind. It is completely dark and quiet in your salt tank. This is something very hard to come by in Mumbai. At the beginning, the float guru told me to 30 very slow breaths and then do a full scan of my entire body one part at a time. I was put in the Jungle Room. This rooms floor is covered in grass and the walls look like you are in a cave. 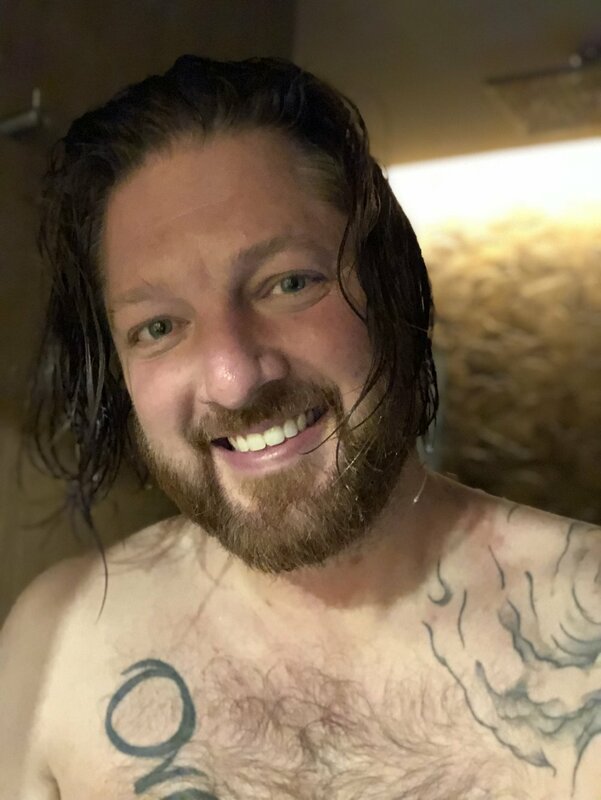 I took my cool shower and got in the float tank. I had floated about a half-dozen times before that so I knew the drill. After I got in the tank, I started the steps provided by the guru. My breathing slowed with every exhale and I eventually made it to 30. Then, I started to focus on the different parts of the body. This is where I started having visions. I would visualize each body part, take a deep breath in and exhale slowly relaxing that part of the body. I started going into the mind space where you are not asleep but you are completely inside the mind. The color purple appeared first as a glow all the way around the tank. Then, the ceiling gave way to stars. I had to convince myself that the owners, Digant and Puji, didn’t put glow in the dark stars on the ceiling because that would defeat the purpose, right? Then, the most vivid hallucination I have ever experienced happened. This blue shining light/jewel came right in front of the space between my eyebrows or my third eye. I can still close my eyes and see this to this day. My float ended and I was ready to explain to the guru what I had seen. He explained that the blue color was symbolic of the importance I place on following my passions. He also said that it was so close to me because of the importance I placed on that value. These are very true in my life but how did he know such things I wondered. On Wednesday, I was visited by the same stone around my teachers neck. I was so fascinated by the resemblance of what I had seen in my vision that I was distracted at times because I was sure this was the same stone I had seen while floating. Not only was she wearing a necklace she was also wearing two earrings of the same stone. Visited by the vision in real life had me just in a state of amazement as I left class that day. Then, the following day our yoga history teacher, was wearing a blue Kurla and a blue bindi on her third eye. Now, I’m not sure what significance this has but I was completely curious as to why this was happening. I didn’t ask because I wanted to stay in that state of curiosity. Was I being reminded of holding my passions close? Was I being told by the universe that I am on the right path? I have complete faith that it was a higher power trying to tell me something. The fact that I am conscious enough to be receptive and notice that these things are happening is astounding. I think it’s time that I float again so that I can see what new adventure awaits. My body feels so light and my mind is completely at ease after these sessions. Meanwhile, I’m going to keep searching the meaning of blue.